Happy Canada Day everyone ! News (good and bad) from Canadian Healthcare Technology World! 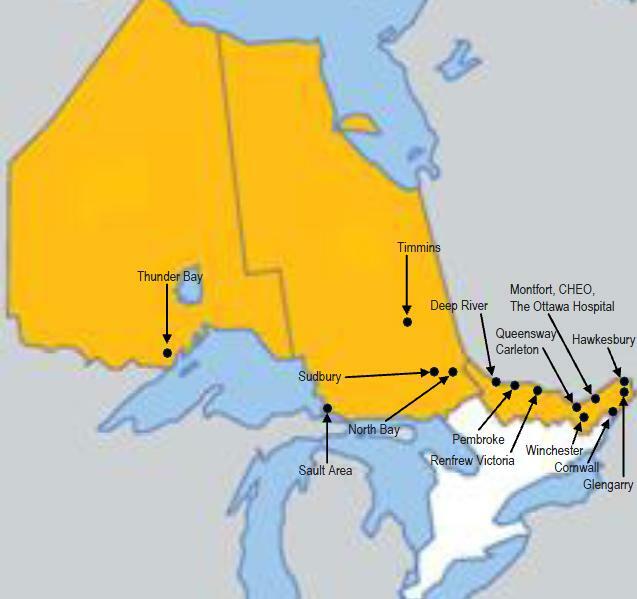 NEODIN (North Eastern Ontario Diagnostic Imaging Network) a diagnostic imaging(DI) repository that will connect all north eastern Ontario hospitals shown in the map below for sharing diagnostic images and results has connected one more major hospital, Thunder Bay to the DI network. Enables diagnostic images and reports to be shared between facilities, eliminating the need for patients to transport images and reports between doctors on CDs, films, or by fax. It also allows specialists at one facility to access the reports for images acquired at other hospitals allowing for faster and more convenient information sharing between doctors. This improved access to patient information will help health care providers make more informed and timely medical decisions. One more step closer to EHR! Congratulations to NEODIN!, Infoway and eHealth Ontario. Province of Manitoba’s eHealth program is in the news for wrong reasons. The eHealth program will be slow (another 20 years) and will cost more (another $450 million). Here is the link to the article and a perspective from Michael Martineau, who has spent time analyzing the Canadian eHealth market with a market research firm.